Other than whisky (And beer. And vermouth. And noodles. And Lego) one of the biggest loves of my life is coffee. I have a hand grinder that I imported from Japan (well, bought from a Japanese store on Amazon) in the office, buy my beans from a small London based coffee roaster, have used a thermometer and stop watch on occasion to ensure consistency, and use a set of scales to measure the water I need (because it’s more accurate. And a lot more pretentious). While I’ve calmed down slightly in recent times (I don’t use the scales in the office) I’m still slightly obsessed, but haven’t ever really tried combining coffee with my first love – whisk(e)y.
I’ve had an Irish Coffee before, I suspect there are few whisky drinkers who haven’t. I didn’t like it. The whisky turned into little but a pure alcohol hit, in both vapour and liquid form, and the coffee lost any complexity it might have had behind a heavy coat of cream and sugar. However, with a little tweaking the combination of whisky and coffee can work quite well. The other week I met up with a bunch of (mainly) whisky fans to try this out at The Department of Coffee and Social Affairs in Clerkenwell. Bossman Tim Ridley is a whisky fan who has worked with the guys at Cask Strength in the past, as well as running a coffee tasting for a bunch of whisky fans a couple of years ago, which left me more broken than any alcohol filled evening has – I didn’t sleep for two days. With St Patrick’s Day on the horizon Tim and recently appointed Teeling Ambassador Sam MacDonald got together to come up with a different take on the classic combination of whiskey and coffee. 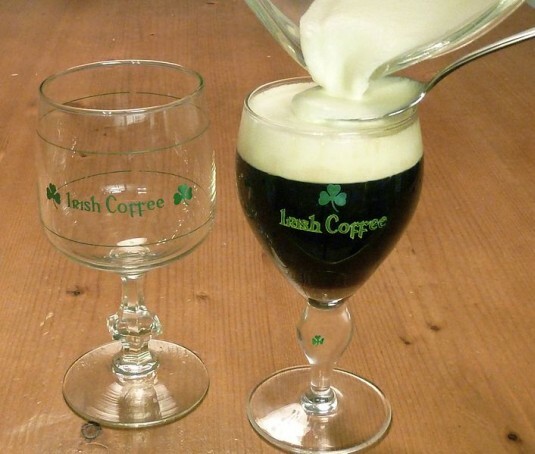 The traditional story behind the first Irish Coffee is that it was made for a group of tired American travellers on a stopover in Shannon airport in the 1940s. Joe Sheridan, bartender at the time, saw they were cold and damp, having walked to the terminal in the rain, and added a tot of Irish whiskey to each of their drinks. One of the guys asked if it was Brazillian coffee, to which Joe replied “No, it’s Irish Coffee”. Drink named, legend created. The problem with mixing whisky of any kind with coffee is that it’s hard to balance – coffee is a strongly flavoured, bitter drink and whisky is normally sweet and alcoholic, not an easy combination. 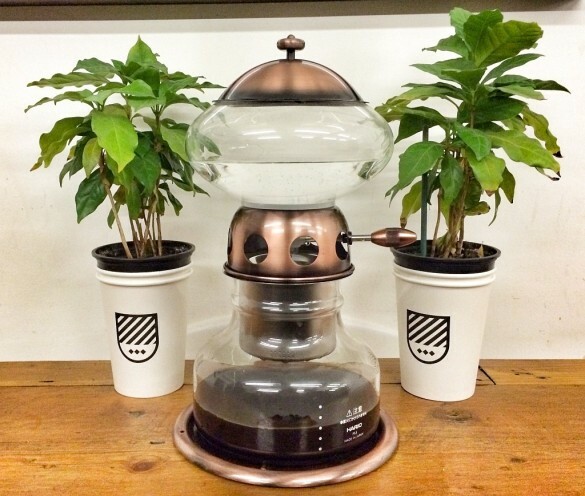 Sam and Tim spent a few afternoons experimenting with various different combinations and eventually came up with one that worked rather well thanks to a specific element – cold-drip coffee. The regular method of making coffee is simple – grind coffee beans, allow them to come into contact with water for some time, drink the resultant liquid. The various different methods are all elaborations on that theme and cold-drip goes for slow infusion using cold water. The machine above is basically just a regular drip coffee machine, however the little handle on the side adjusts the rate at which water drips out of the reservoir at the top onto the coffee in the basket below. Tim set up the dripper to take 9 hours to drip 700g (~700ml for those who prefer ‘inaccurate’ units) through 50g of ground Ethiopian coffee – specifically this was from the Kochere co-operative in the south of the country. Using cold water extracts different compounds from the coffee beans, giving lower acidity and a ‘purer’ flavour (based on my limited experiments of varying levels of success as well as Tim’s expertly prepared coffee), with much less of the transformed, ‘cooked’ flavour you get with hot extraction. Oh, it was also served cold. Nose: Dark chocolate sweetness and light funkiness, with freshly turned earth, blackcurrants and mulchy fruit. Palate: Bitter hit to start but a light body of cocoa (real 100% stuff), red fruit, charred wood and freshly ground beans. Finish: Lingering char notes and umami meatiness. The coffee was only half of the story, with the intention being to match it up with some of Sam’s whiskey. 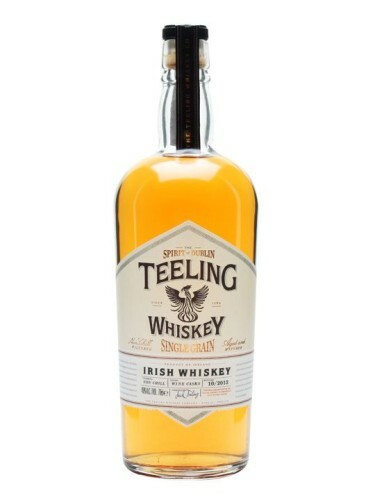 Along with the rum cask finished Teeling Blended Whiskey, which I’ve been a fan of since it arrived last year, he also brought along the latest addition to the range – Teeling Single Grain. 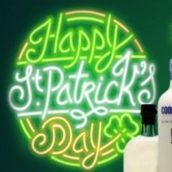 Back in 2011 the Teeling family sold their business, the much acclaimed Cooley distillery, to Beam Inc, the owners of Jim Beam, Laphroaig and many other brands. They didn’t hang around for long, and while John Teeling, the founder of Cooley, has now retired, his son Jack started up a new whiskey company – The Teeling Whiskey Company. He has been joined by a number of his former colleagues, including his brother Stephen and Alex Chasko, their product development head. 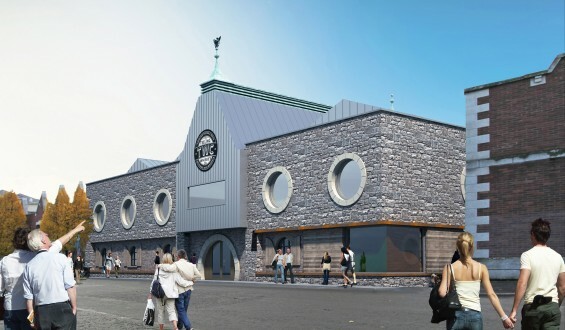 The new Teeling distillery – why do artist’s renderings always include someone pointing? 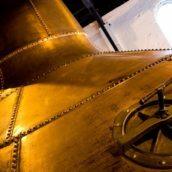 Teeling have released a few bottlings, including the previously mentioned blend, some Poitin and the much acclaimed Teeling 21 year old, and have plans for many more – part of the deal when selling Cooley was a good supply of whisky to keep them going until they start producing their own. 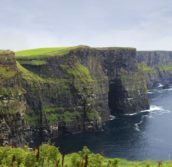 Their distillery, being built in Dublin at the moment, is well on its way, with the plans currently having production commencing later this year. With the experience of running Cooley behind them we expect great things to appear a few years down the line. In the meantime they have spirit that they’ve been able to select from their previous stocks, which they have combined with Alex’s love of interesting maturation. 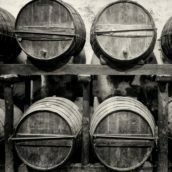 The Single Grain is married and then finished in American Cabernet Sauvignon casks before bottling without chill-filtering. A risky move, with many red wine cask matured whiskies getting a bit of stick, but recent bottlings such as Glenmorangie Companta have shown that good things can come from wine casks. Nose: Meaty and sweet, with tannic touches, toffee, fudge, dark chocolate, marmalade, some green anis and herbal, leafy notes. Palate: Toffee, more tannins, big spicy notes, some red fruit, grape skin, wood polish and an overarching buttery sweetness. Finish: Lots of winey notes, although focused on spice, along with butter and shortbread. Comment: Another entry in the world of successful wine cask finishes. Spicy, sweet and quite complex for relatively young grain whiskey. Mr Chasko seems to know what he’s doing when it comes to finishing. 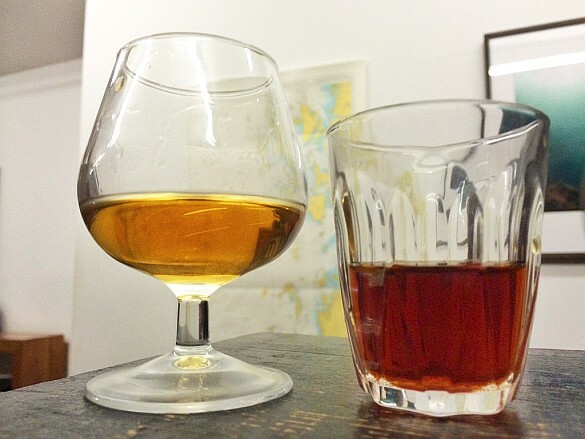 However, the final test was combining the whiskey and coffee. Rather than mixing loads of coffee with a small amount of whiskey and topping the combination up with cream and sugar, Sam and Tim went simple – about 2:1 whisky to coffee. Nose: Lots of fruit, chocolate and hints of sweet wood smoke. Moccachino with sprinkles, toffee and jelly babies. Palate: Milk chocolate and caramel, digestive and Nice biscuits, red fruit jam, spice and a touch of green, leafy mintiness. Finish: Even more chocolate (you can probably see a theme developing), oats and oak, and a hint of menthol.